Stability of Tenure is the principle of management we are going to look into this week. This principle underscores the significant attribute of a successful organization where the attrition is minimal and the credibility of the organization among the community of the employees occupies the first place. The highest turnover in an organization does not generally speak well of the organization since it implies the most unproductive fact that the employees prefer to switch job at the earliest. There may be many reasons why the stability of tenure has not been possible in the organization. Absence of effective motivation thus indicating a strained relationship with the employer; poor working conditions; absence of equity in the administrative framework; least possibilities of promotion; rampant aggressive favourtism; scanty welfare schemes are some of them. It means that the management has not been able to achieve stability of tenure among the employees; with the result, it may have to spend a lot for various tasks. For example, staffing becomes a permanent task for the management thus being forced to give more time to procure staff while, if there has not been this wasteful exercise, they could have found time and energy to discuss strategies to take the organization to the next level of achievement. Moreover, this avoidable expenditure literally eats into the profit of the organization. As a cascading effect, the growth of the organization will be halted; at least, it will be slowed down. It is essential, therefore, for any organization to have and continue to have the stability of tenure. Let us see the possible means of attaining this principle of management in an organization. First, the employees must be made to realize that there is security of job for the worthy and the efficient. Of course, the employees would be given relevant training to make them suitable for the tasks expected of them. If an employee does not come up to the expectations of the management even after ample training sessions, the management will have no option but to terminate his services lawfully. The assurance of security of job in an organization does not mean that the management must put up with the unproductive and continue to bear the loss. On the other hand, the presence of security of job in an organization does mean that the efficient will be protected and kept on job with no risk to his security. Motivation is another effective measure the management must give attention to. Motivation can take any form that suits an employee. But, generally, monetary benefits do not fail to motivate any employee irrespective of his social status. 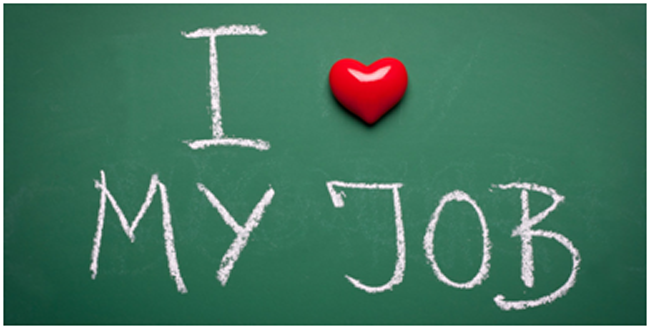 Promotion based on the performance of an employee has proved an unfailing source of motivation to the employees. Promotion is a factual expression of the recognition by the management of the efficiency of the employee. Cash awards, certificates of appreciation, paid holidays, monetary contribution to the education of the children of the employees are some of the ways that make the employee feel that due recognition is given to him in time. All these go to prove that the employees are kept happy and comfortable in the organization which, therefore, does not need to suffer from the ill-effects of high attrition of the talented employees. In short, stability of tenure assures growth to the organization as well as to the employees.